We live in a very materialistic society. We are constantly bombarded with advertisements for us to buy things - like or not, we want it! We would go to the ends of the earth to obtain it. Children are constantly asking for us to buy them things. Be is shoes, clothes, bags, toys, you name it, they want it. We as adults too want things, a better job, a better house and more money than our friend. No matter what we persuaded by the pressures of society to compete and get all the materialistic stuff that we can get our hands on. 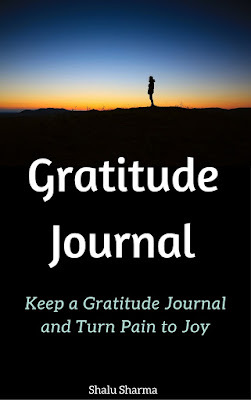 One way to express gratitude in our lives is to write a gratitude journal. In all spheres of life it seems as if are expected to get, strive and obtain – this is the mantra that we have been and now we feed it to our children. But we forget that we are human beings, we can only do our best and at the same time, we must be content of what we have otherwise things really get out of hand. If one is in a job, we are asked to compete and do our best which is fine but sometimes we must are pushed to the limit. At school, children are asked to do their utmost best in every walks of their education which is perfectly fine, but again they seem to be pushed to the limit. We are constantly seen as successful if we have bigger houses, bigger cars, better mobile phones, go on holidays, spend money on birthday parties etc and even then we are not happy. Why do we have to do it? It’s because we live in a very materialistic world! The only way to become free from all this is to express gratitude every day. It only takes a few minutes to say a few words and sentences of gratitude and you will realise that you will feel better. 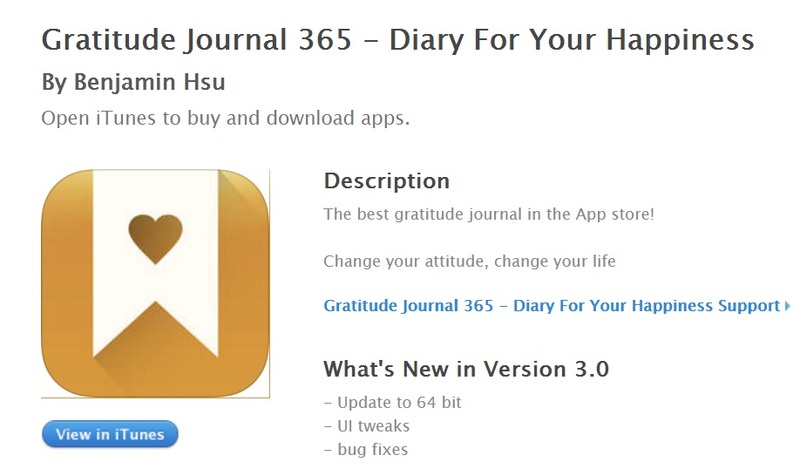 Alternatively you can write only a few lines of gratitude in a gratitude journal. It should not take more than 5 to 10 minutes of your time and you will feel a lot better. You will realise the importance of life and you will be more content about yourself and all the things you have. You don’t have to write assays or paragraphs of gratitude, just a few lines of thankfulness. This will help you become happier and more content about who you are and become from free from the ridiculous rat race of life we are in. So you see that it only takes a few minutes of your time to express some of these very basic gratitudes and you will find that you are more content with yourself. There are many ways to express gratitude. You can buy a readymade gratitude journal, you can use a gratitude app on your mobile or you can use a piece of paper- you just have come up with something. But my opinion is that you get a gratitude journal and write your thoughts down. Here’s a free gratitude app I found. Here’s my own personal gratitude journal I created and is available on Amazon. I have been keeping a gratitude journal for some time and it has helped me a lot.